Vitamin A is essential for normal vision, bone growth, cell division and proper immune function. However, if you get too much of one form of this vitamin, you could actually cause yourself harm. We get the vitamin A we need in two main forms – as retinol, a ready-to-use form found in animal foods, and as beta-carotene, a precursor (or “provitamin”) found only in plant foods. Research has shown that adults taking too much retinol on an ongoing basis have an increased risk of weaker bones and hip fractures. A chronically high intake of retinol can also cause hypervitaminosis A, which can lead to toxic symptoms, including liver and nerve problems in addition to decreased bone density. This is not the case with beta-carotene as the body seems to be able to slow or stop the conversion of beta-carotene into vitamin A if it’s getting enough vitamin A from retinol. That’s why it seems that the best way to ensure that your body has access to plenty of vitamin A without becoming overloaded is to get most of your vitamin A in the form of beta-carotene, which is plentiful in dark green and orange fruits and vegetables, such as spinach, carrots, sweet potatoes, cantaloupe, and kale, with lesser amounts coming from animal sources of retinol, such as whole milk, whole eggs, margarine, and beef liver. 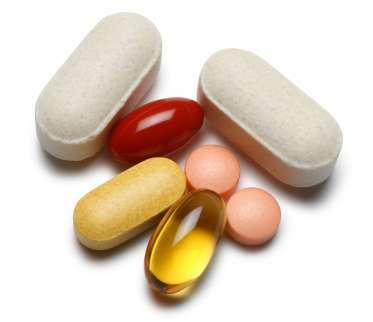 Supplements of vitamin A – whether from retinol or beta-carotene – are not recommended for healthy adults. And if you take a multivitamin, choose one that provides no more than the recommended intake of vitamin A, and that supplies most, or all of that vitamin as beta-carotene rather than retinol. Iron is best known for its role in the formation of healthy red blood cells, which are responsible for carrying oxygen through the blood. It is also a component of myoglobin, the compound that stores oxygen in muscle tissues. Oxygen is essential for life, and without iron to keep those red blood cells coming, you would die. But iron also has an important job in bolstering the immune system and helping the body manufacture amino acids and convert beta-carotene to vitamin A. There are two types of iron: heme and nonheme. Heme iron is found in meat, while nonheme iron is found in plants. Nonheme iron is less well absorbed, but that can be easily remedied by eating a food rich in vitamin C with a food rich in nonheme iron, since vitamin C aids in its absorption. While iron remains an essential nutrient, as you age your body needs less of the mineral. That’s especially true of women after menopause. The risk of continuing to bolster your iron intake as you pass 50 is that you could unknowingly be suffering from a condition known as hemochromatosis. Also known as iron overload, hemochromatosis occurs when the body gets saturated with iron and isn’t able to discard the extra amount. If it is untreated, it has the potential to harm every organ in your body. Symptoms can include chronic fatigue and persistent aches and pains in your joints. Although the maximum recommended intake for this mineral is 1,500 milligrams a day for middle-age and older adults (it’s less than 2,300 milligrams for younger adults), the body requires a mere 180 milligrams of sodium a day to function properly. Limiting sodium is difficult because sodium is present in nearly all foods. Processed foods are usually loaded with sodium, so it’s easy to go overboard. Too much sodium can aggravate high blood pressure in people who are sodium-sensitive; in these individuals, the higher the sodium intake, the higher the blood pressure. Reducing blood pressure reduces the risk of stroke, heart disease, and kidney disease. In addition, a high-sodium diet can cause your body to lose calcium from bones, increasing your risk for osteoporosis. Calories are the energy your body extracts from the carbohydrates, proteins, and fats in the food you eat. You need a certain number of calories for your body to function. You need more calories if you’re physically active and muscular than if you’re not. Men generally need more calories than women, and young people require more calories than older people. If you’re 50 or more and not physically active, the extra calories will add weight and increase your risk for heart disease, diabetes, and some kinds of cancer. It takes only 100 extra calories a day to end up with an extra 10 pounds at the end of a year. The key to preventing weight gain is to balance your calorie intake with the energy you expend through physical activity. Since certain nutrients become even more important as you age, you need to make the most of your limited calories by choosing low-calorie foods loaded with nutrients. 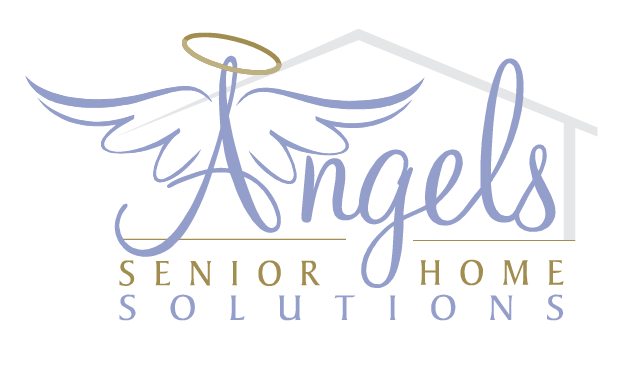 Angels Senior Home Solutions is a based-in-faith company that provides in-home healthcare and personal care services for seniors. We are pleased to provide caregivers that help to restore independence, health and confidence to the elderly. For more information, please visit our website at www.angelsinhome.com.